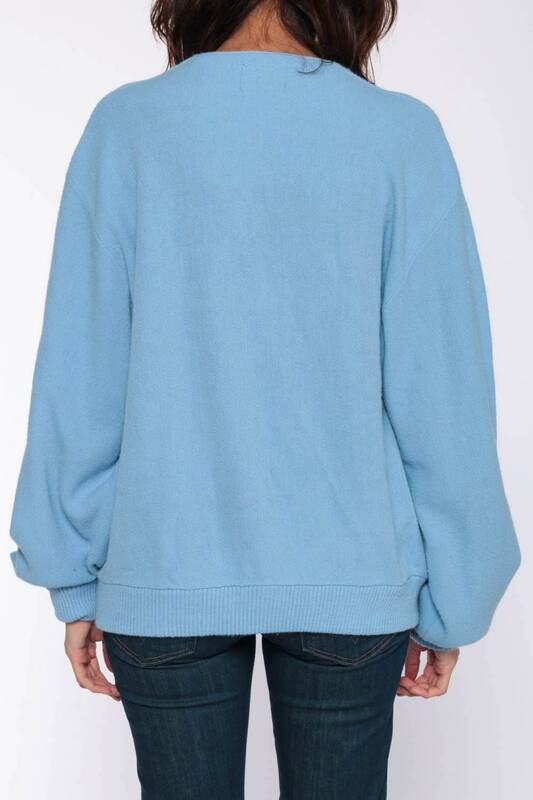 Vintage 80s cardigan sweater in baby blue acrylic knit. 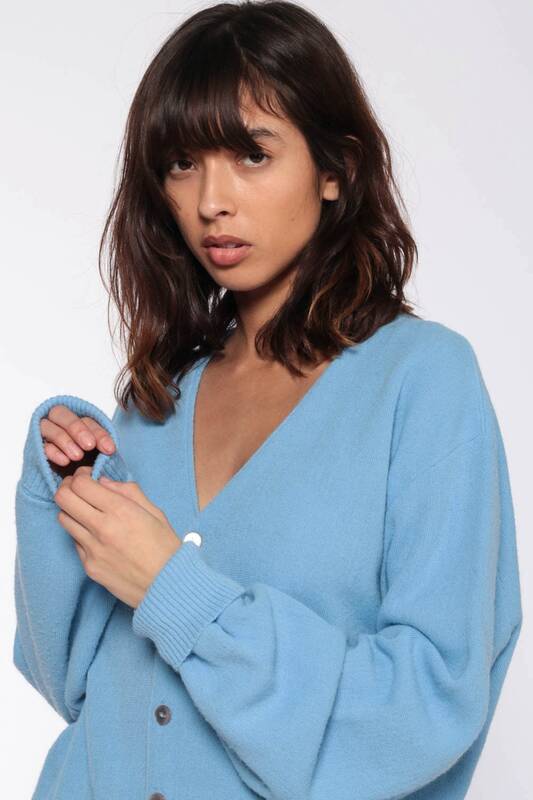 Slouchy fit with buttons up the front. Unisex. Condition: Very good vintage. Has a couple small snags. One tiny dark spot on the back of the left sleeve by the cuff.